Feisal Naqvi makes some good points in his latest piece for Express Tribune, ‘Making our democracy “antifragile”‘. As he correctly notes, concentration of power in the hands of one person is the antithesis of democracy, and creates a political environment in which authority resides in individuals and not institutions. Feisal uses several contemporary examples, but he leaves out other important elements also. As an example of an institution that is improperly consolidating power into the hands of one individual, Feisal Naqvi points to the Supreme Court. The desire to centralise power is not one which afflicts executive officials alone. The unanimity with which the Supreme Court now speaks is such that, according to one commentator, “not one judge in these four years [since the restoration of the CJP in 2008] has disagreed on a single point of law in a major constitutional case”. I agree entirely that this is a disturbing sign. Common law courts form a resilient, antifragile judicial system precisely because they allow for a multiplicity of views to exist before being slowly resolved over time. Views thus get thrashed out amongst different judges with different viewpoints. Good points and bad points both get slowly identified. And only the concentrated common sense of the judiciary eventually survives. By contrast, what one sees quite often is a multiplicity of issues getting decided directly in the Supreme Court, and that, too, without dissent. This is not a healthy development. Dissent is a good thing because it is a sign of life, a sign of independent thinking, and more importantly, because today’s dissent can become tomorrow’s orthodoxy. More importantly, we need to give appropriate time for these issues to be examined in detail rather than simply seeking to address all aspects in one go. It’s not only the Justices that are falling down on their job of properly weighing all views and engaging in healthy dissent. The Government Punjab also comes into his sights when he notes that “Mian Shahbaz Sharif held 18 portfolios in his own cabinet”. Feisal Naqvi also criticises coalition parliamentarians for deferring to the President to nominate a replacement Prime Minister rather than working to find a consensus candidate. There are several valid complaints to be made about parliament, but this one might be a little bit unfair. When parliament adopted a consensus approach to developing a new set of terms for renegotiating relations with the US, the process dragged on for weeks beyond the original deadline. Unfortunately, the Supreme Court did not offer the luxury of time in choosing a new Prime Minister as their Lordships in their infinite wisdom rendered the nation leaderless since the past two months! What Feisal Naqvi’s otherwise good piece was really missing, though, was an acknowledgment of what progress has been made towards sharing responsibility “across persons and institutions in the way that the burdens of democracy are meant to be shared”. Ironically, the person who has probably done more to advance Feisal Naqvi’s vision is none other than President Zardari himself. In 2009, President Zardari voluntarily returned control over the nation’s nuclear assets – a power usurped by a military dictator – to the Prime Minister. In 2010, President Zardari signed the 18th Amendment bill that went even further in reducing his own powers as well as devolving many responsibilities from the Federal to the Provincial governments. The extraordinary nature of this act – a sitting president voluntarily returning powers that had been usurped by dictators – was noticed throughout the world. In his 2011 Address to the joint session of Parliament, President Zardari thanked Allah for guiding him to reduce the concentration of power in the government and to spread responsibility among institutions. Returning power from dictators to the people was the core of our promise. Rarely in history has a leader abdicated power by his own free will. My head bows in gratitude before Allah, for giving me the strength, to give up powers that had been usurped by dictators. Actually, the 18th Amendment which devolved powers and shared responsibility was passed unanimously by parliament, and that institution deserves great credit. Actually, the only person against it was Chief Justice Iftikhar Chaudhry who was opposed to sharing the responsibility of selecting new Justices – he preferred to keep all that power consolidated in himself as if the Court were his personal fiefdom. Thankfully, reason – through the parliament – won the day. Finally, though Feisal Naqvi touches on important responsibilities of government officials, he leaves out the responsibilities of citizens. I will not defend everything that parliament or President Zardari has done. Some I have agreed with and some I have disagreed with also. In a democracy it is our right to criticise our leaders when they fail us. But it is also our responsibility to recognise when they do things right. If we are unwilling to give parliament and Zardari their due, what incentive will the next group have for even trying? On Off the Record tonight, Kashif Abbasi asked Imran Khan of all people why didn’t the president and prime minister know about this operation? The first question to ask is why Kashif asked Imran Khan of all people, as if he would have any way of knowing what goes on behind closed doors at the highest levels. Second, who says the president and PM didn’t know? But what is more interesting is Imran Khan’s response to the question, which appears to be planted, that the operation will have negative consequences that weaken Pakistan Army. I think there might be something to what Imran Khan is saying, but it may not be what it seems at first. In many ways, the reactions of Osama’s death have been predictable. CNN showed footage of Americans standing outside the White House chanting USA. Burger bacchas whined on Twitter and Facebook. Hamid Mir began reading the Taliban statement on TV. Zaid Hamid reminded everyone of his complete disconnection from reality. And Mushy belatedly became concerned about sovereignty. These were so predictable that it was almost boring to watch unfold. 1. 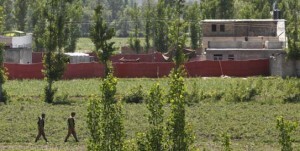 Osama was holed up in a compound in Abbottabad for over five years, which makes it virtually impossible to believe that intelligence agencies had no idea he was there. 2. The attack was carried out by US special forces who flew in and out of Abbottabad using military helicopters, which makes it hard to believe that GHQ didn’t approve. So, was the mission carried out as a joint Pak-US operation? It’s important to note that our counterterrorism cooperation with Pakistan helped lead us to bin Laden and the compound where he was hiding. Indeed, bin Laden had declared war against Pakistan as well, and ordered attacks against the Pakistani people. This same point was made in the statement released from the Foreign Office today. In an intelligence driven operation, Osama Bin Ladin was killed in the surroundings of Abbotabad in the early hours of this morning. This operation was conducted by the US forces in accordance with declared US policy that Osama bin Ladin will be eliminated in a direct action by the US forces, wherever found in the world. Earlier today, President Obama telephoned President Zardari on the successful US operation which resulted in killing of Osama bin Ladin. Osama bin Ladin’s death illustrates the resolve of the international community including Pakistan to fight and eliminate terrorism. It constitutes a major setback to terrorist organizations around the world. Al-Qaeda had declared war on Pakistan. Scores of Al-Qaeda sponsored terrorist attacks resulted in deaths of thousands of innocent Pakistani men, women and children. Almost, 30,000 Pakistani civilians lost their lives in terrorist attacks in the last few years. More than 5,000 Pakistani security and armed forces officials have been martyred in Pakistan’s campaign against Al-Qaeda, other terrorist organizations and affiliates. Pakistan has played a significant role in efforts to eliminate terrorism. We have had extremely effective intelligence sharing arrangements with several intelligence agencies including that of the US. We will continue to support international efforts against terrorism. It is Pakistan’s stated policy that it will not allow its soil to be used in terrorist attacks against any country. Pakistan’s political leadership, parliament, state institutions and the whole nation are fully united in their resolve to eliminate terrorism. #Pakistan evidently played an integral part in the #binLaden operation, reinforcing to the #Pakistani people why this is a shared struggle. As obvious as this seems, we must ask why it is being downplayed by both sides and why media is asking people like Imran Khan why the civilian government didn’t know about the mission when they obviously did. I suspect that the reason is that President Zardari and PM Gilani did know, and that this operation was carried out by civilian government taking command and leaving certain elements of the old establishment in the dark. From the early days of the present government, civilian leaders have been trying to reign in what are perceived to be out of control elements in the military and intelligence agencies. Recall that in 2008 the government attempted to bring ISI under civilian supervision, only to be rebuffed by GHQ. Despite the PM’s recent remarks that ISI operates under full civilian control, nobody really believes this. But that doesn’t mean that democratic leaders are not still trying to create a new establishment. It is also widely believed that there are multiple factions within GHQ who are struggling to define the future path of Pakistan military strategy. There is the pro-US group who sees the best results from cooperation with the West to defeat militants and improve access to global economic markets. There is the pro-China group who thinks the US is yesterday’s ally and wants to concentrate on relations with China’s military as an antidote to Indian military expansion. And then, of course, there is the cold war leftover group who hangs onto to Zia-era ideology of jihad. Could it be that this operation in Abbottabad was carried out with the cooperation of the civilian government and some elements of the military while keeping the cold warriors in the dark? That’s what it’s looking like to me. This would explain a few things, certainly. 1. 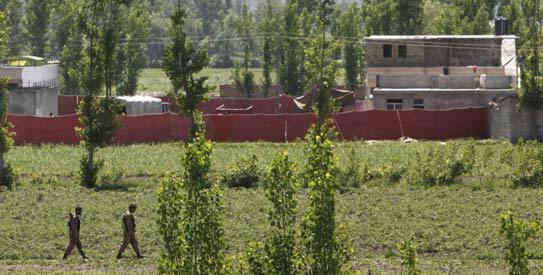 Last fall when a US helicopter crossed the border on a ‘hot pursuit’ chase in Upper Kurram, Pakistan soldiers fired at it. In Abbottabad, no soldiers fired on multiple helicopters carrying US special forces. 2. Abbottabad is not Mozang Chungi. It would take more than a Raymond Davis to gather the intelligence needed to orchestrate such a strike, and the idea that this level of intelligence gathering could be done without the cooperation of Pakistani intelligence is hard to believe. Details are still not known and it’s going to be a while for the full story to come out. But it’s worth trying to figure out logically what the story is here. I don’t know what is going on, but I suspect there is something that is not being said out loud that is far more interesting than what is being discussed on TV. One possibility is that the civilian government and reasonable people in the military have formed an alliance to move beyond the obstacles created by leftover cold warriors and finally settle this war once and for all. This would not be announced so publicly, though, because it has probably ruffled a few feathers and now there are meetings being held to explain this new arrangement. People love to complain about President Zardari, but he’s managed to get some things right. The 18th Amendment was an important move to undo power consolidation under dictators. But if President Zardari can manage to reconfigure the relationship between the establishment and the government in a way that similarly undoes the damage caused by past dictators, then he will have pulled off the one coup that Pakistan has desperately needed. Pakistan faces an education emergency — a fact known widely but discussed insufficiently by Pakistan’s political and media elite. The inadequacy of quality education renders our country incapable of dealing with the challenges of the 21st century. Redressing weaknesses of our education sector are a prerequisite for building a progressive, tolerant, enlightened and non-violent society. We can begin by talking candidly about the magnitude of the problem. The Pakistan Education Task Force’s report, Education Emergency Pakistan 2011, highlights the crisis. This year has been declared education year in the country. But national awareness about the depth of the crisis remains low. Our discourse is focused more on issues of power politics and real, or perceived, flaws of those in public life, than on the disaster that is looming on account of our poverty in education. Those who raise their voice over even the slightest imagined threat to national honour, fail to recognise that having the second largest number of children out of school in the world (next to Afghanistan), probably brings greater dishonour to the country than any other issue. So let us recall the basic facts: One of every 10 children not in school in the world lives in Pakistan. The country is far from meeting the Millennium Development Goal (MDG) of providing universal education by 2015. Only 23 per cent of our children under the age of 16 attend secondary school and almost one-third of Pakistanis live in extreme educational poverty — having received less than two years of education. It is also distressing that 50 per cent of school children (aged 6-16 years) in Pakistan can neither read nor write. Appointing low qualified teachers at the primary level is among the main reasons for falling standards of education that renders this age group illiterate. In a recent briefing, President Zardari was informed that out of 11 million school age children in Sindh, only 6.4 million are enrolled — leaving over 4.5 million children out of schools. Twenty per cent of schools have no building at all, 45 per cent encompass only one or two rooms and over 60 per cent schools have just one or two teachers. Sixty per cent of schools in the province of Sindh have no access to safe drinking water. The 18th Amendment to the Constitution of Pakistan, which received presidential assent on April 19, 2010, states, “The state shall provide free and compulsory education to all children of the age of five to 16 years in such a manner as may be determined by law.” Along with the rest of the world, Pakistan is also pledged to meeting the MDG for education, promising that, by 2015, “children everywhere, boys and girls alike, will be able to complete a full course of primary schooling and that girls and boys will have equal access to all levels of education.” But neither our constitutional obligation nor the MDG objective is within sight of fulfilment. A swift decrease in dropout rate and boost in enrolment rate is possible through provision of a monthly stipend for students from poor families, along with free books and uniforms. But this would require allocating more money for education in the federal and provincial budgets, possible only if education is accorded the priority it deserves. Once education receives the necessary investment, forcing children to drop out from school could be declared a criminal act and legal action should be taken against those parents who urge their child to work at the expense of attending school. Education must be made a national priority no less important than national defence. Unfortunately, while most Pakistanis can proudly recount measures taken to protect national security, few know the state of education in Pakistan. This piece was originally published in Express Tribune on 19 April 2011. Following article was published in Daily Times of 8 April 2011. It is shared here to add to the discussion about devolution and possible ways to improve education policy. The implementation of the 18th Amendment has generated a debate in academic and other interested circles, political as well as non-political, due to its far reaching implications for higher education. This piece attempts to explain the implications, apprehensions and the possible policy responses. The 18th Amendment abolishes the concurrent list, thus devolving a number of subjects, including higher education, to the federating units. However, it awards the responsibility of standard setting to the federal list. This means the end of the federal education ministry and, more important, the end of the Higher Education Commission (HEC), at least as we know it. 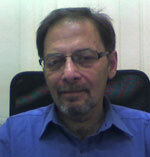 It is the implications of the change in HEC that has generated debate in academia. The broader divide is between those who consider the HEC’s survival in its present form vital for the growth of quality higher education and those who consider the main issue ensuring the autonomy of the campuses and devising a new system in the light of the 18th Amendment, which will ensure the enhanced funding that was made available through the HEC. The protagonists of the HEC argue that if it is devolved to the provinces, the increased funding made available to it since 2002 will dry up, resulting in discontinuation of a large number of both indigenous and foreign PhD scholarships and research projects. They further argue that the large number of new universities is a gift of the HEC and also credit increased enrolment, research publications and PhD degree holders to HEC. It has also been argued that the degrees awarded by the Pakistani universities have achieved a better level of recognition as a result of HEC’s policies and verification system. A more serious fear is expressed that the devolution of higher education to the provinces will mean loss of autonomy of the universities and a greater level of intrusion from both the provincial bureaucracy and politicians. Thus, it is inferred that if the HEC is wound up or its powers and functions reduced, all the good things that have happened to higher education will come to end. The question is: how would the surge in funding decline with HEC’s end or change in its status? If it was generated by the HEC and belongs to it, then there may be some truth in this. The fact is that the funding to the HEC came from the government directly or because of the government from USAID and the World Bank (WB). International funding has been available to higher education along with other sectors after September 11, 2001. Our international supporters were willing to support the state and the people for reasons well known. The state created a certain system through the establishment of HEC to receive and utilise that fund. The situation that convinced foreign donors has not changed and will not change by the demise of or change in the status of HEC. The provision in the agreement between the WB and the HEC to the effect that “any change in the current HEC status will result in end of funding” simply means that it is giving funds to HEC because of its status and role as an agency made responsible by the state to receive such funds. That provision was not and cannot be interpreted as protecting HEC but rather protecting funding for higher education through the HEC so long as the HEC is responsible for higher education. As such, the funding to HEC will end as it has been reported in the newspapers, but will resume through the alternate mechanism/s created for the purpose. Once funding is assured, there is no reason to fear the termination or suspension of the ongoing projects or scholarships as well as their future continuity. The increased number of universities, both in the private and public sector, is the result of government policy and has nothing to do with HEC. HEC simply was not, is not, and has never tried to be a university-creating body. It only sets certain standards for an institution to be a university or a degree awarding body. The power to award degrees is granted by the state and not by the HEC. Similarly, if, when and where to create a university are the decisions of the government of the day, not HEC. There is also a question whether this mushrooming of universities is a good policy or not, whether it promotes quality higher education or not. However, the HEC can neither be given credit for it nor accused for the number. The increased number of PhDs and scholarships is the direct result of more funds being available. If there was no increased funding, scholarships or other projects would not have been possible, HEC or no HEC. The increased number of PhDs is also a result of this becoming a requirement for appointment at senior levels. Again, that requirement was made much earlier than HEC was established. One must acknowledge that HEC has established a good system for evaluation of research journals and research publications. That may need a little rationalisation but overall it is a good contribution. However, that such a system could not have been created without the HEC is not a very strong claim. Now that it is there, the bodies replacing the HEC can keep it, as there may be other contributions of the HEC that may be retained. International recognition of degrees from Pakistani universities has not been affected at all by the HEC. The level of recognition remains the same as it was. Mostly western universities equate educational qualifications based on the years of education and admissions to various programmes are based on certain tests, like GRE, GMAT, TOEFL or IELTS. A degree attested by the HEC is not given any more credibility than one attested by the university granting it. Rather, the university that has granted a degree is a much better and more authentic authority for verification or attestation than the HEC or any other place. Even if others do it, they have to rely on evidence provided by the degree awarding institution. The real issue is not HEC or devolution but the appropriate level of autonomy of the university campus. Academia fears intrusion by the provincial bureaucracy and politicians. There is a need for the creation of an alternate system that addresses this apprehension. There has to be an autonomous provincial body, free of the influence of the provincial government. However, it should not be a replication of HEC at the provincial level. It must be remembered that HEC had also curtailed freedom of the campus and had developed the habit of micro-managing universities. The new system must avoid that. The government must act urgently to create an alternative with inputs and consultation of the stakeholders, academics being the central ones, and people with a much better understanding of the needs and requirements of a modern university. The 18th Amendment gives the federation the responsibility for standard setting, which means a restructured HEC or a new body succeeding it at the federal level may continue with the coordination, standard setting, quality enhancement and assurance, accreditation and equivalence functions. The fear that higher education in different provinces will be totally different from one another is not very well founded either. The devolution of higher education as a result of the 18th Amendment provides for a certain level of standardisation along with providing enough room for diversity and freedom. Our universities may not be ideal and do have a lot of deficiencies, but they are full of highly qualified academics with degrees and work experience in the developed world. In the interim period, the continuity of the ongoing projects and payments of scholarships to those already enrolled as well as those about to proceed must be ensured. The following article by Kamila Hyat does a great job of looking at the debate about the Higher Education Commission and the best way to improve education in Pakistan. A lower-key controversy that had been wafting in the wind for some time over the future of the Higher Education Commission, established amidst much fanfare in 2002 by then president, Pervez Musharraf, to replace the Universities Grants Commission, has flared now into a far more ugly war. It appears that the HEC may be done away with under the 18th Amendment which devolves education to the provinces. Some of the less sensible assertions being made suggest either that the HEC be packed up because it was the ‘gift’ of a dictator, or else that it is being victimised because it had found the degrees of so many legislators to be false. In the high-pitched arguments that have been raging on, we appear – as we rather often do – to have lost all sense of perspective. The question is not so much that of how the HEC was set up or by whom, but whether it is serving any useful purpose today in the labyrinth of horrors that is our education system. It is certainly true that the body has done some good. Some 4,000 Pakistanis are currently pursuing PhDs overseas on HEC scholarships, another 1,000 are studying medicine in Cuba as part of a programme backed by the Cuban government. The brave efforts of the body to tackle the enormous issue of plagiarism in higher education and initiate action against professors at top institutions must also be lauded. Other work undertaken by the HEC is of course more questionable. The criterion used for its ranking of universities has been criticised. In 2005, its acquisition of highly costly scientific equipment was strongly questioned and there have been many accusations of attempting to intervene to too great a degree in the affairs of institutions, and thereby placing their autonomy under pressure. It is a fact also that much of what the HEC has been able to do stems from the enormous budgets allocated to it since its inception. These have run into billions. The slashing of the budget to Rs 15.76 billion for 2010-11 fiscal year, against a demand of Rs 30 billion, drew loud protests, from university VCs as well as the powerful HEC lobby itself. The question of the HEC’s future and the arguments being put forward can in some ways only be adequately assessed by taking a wider look at our nightmarish educational picture. The report on Pakistan’s educational emergency produced by the Pakistan Education Taskforce emphasises – with much drama – all that is wrong. This is a useful function, but surely a government body should be focusing on how to deal with the problem rather than describing it. Declaring an ‘educational emergency’ as the prime minister has said is to happen, does not address the needs on the ground for better schools, a high quality of education in the public-sector and, to help achieve all this, more spending on education. The huge allocations in the past for the HEC may, or may not, have improved the state of higher learning in the country. But logic dictates that if we are to get anywhere with our education and climb up the academic ladder quickly, at least to the level of other South Asian countries, we need to start at the bottom of the pyramid and not its very top. The masses of children who are still deprived of even schooling that is adequate at the most rudimentary levels all over the country need to be given the start in life that is vital to open up opportunities and lift them above the poverty in which their families grovel. The highest budgets then need to go to education at the primary level rather than at the apex. Only a miniscule percentage of those who begin schooling are able to reach levels that go beyond the intermediate. Unless the first rung in the ladder is secure and solidly bolted to the frame we cannot really hope for success at the top. This is one reason why no Pakistani university ranks among the top 100 in the world according to the HEC. The future of the HEC then needs to be seen as a part of the whole educational jigsaw – and all the pieces that have dropped out from it. Politics should not really enter into the picture. We are already beginning to see a distinct polarisation along these lines. Much of what should really be discussed has become lost as a result of this. The HEC has undoubtedly helped generate debate on issues in higher education. This process needs to be continued. It would be a pity to lose all the more beneficial functions of the body as the process of devolution takes place. The matter needs to be given some thought by policy makers, while remaining within the ambit of the 18th Amendment. The most crucial need of all is however to find political commitment for the cause of education. This has been missing for the last six decades since Pakistan came into being. The result of course is the educational disaster, at both the higher and lower levels, that we see today. The dichotomy that has been created in education, with the children of the wealthy attending elite private schools and those of the poor consigned to the far harsher environments of madressahs, government schools or all kinds of poorly regulated private institutions, also means that unscrambling the educational jumble is not a priority for the political leadership, whose own children rank of course among the privileged. Too often, we see nearly an attempt to tinker with the system for cosmetic reasons rather than make any effort to introduce the wide ranging educational revolution that we require. The HEC issue needs to be removed from politics. It also needs to be treated in relation to the larger education situation, rather than as an isolated issue. Pakistan’s problems with education were well-established even before the latest taskforce report. The real need is to solve them rather than engaging in petty squabbles of all kinds and refusing to meet the overwhelming needs of a population that is often subjected to still further neglect when ugly quibbling of the kind we see now breaks out.